At Johnsons, continuous quality management is at the heart of everything we do. Our experience and ability to supply exactly the services required by everyone we move, at competitive prices, has made us the first choice for many families over the years. We value our employees and the unique mix of skills and resources they bring to Johnsons. Our managers are responsible for continuous quality improvement in all areas of our business. All employees are expected to contribute in a positive manner to the quality of the services we supply. And we provide them with all the necessary training and resources to enable them to do so. 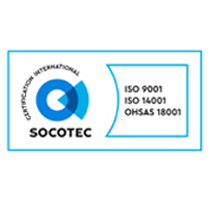 The certifications and accreditations below are evidence of our commitment to doing things right. As members of the British Association of Removers, we must meet strict criteria regarding the training and retention of our customers.